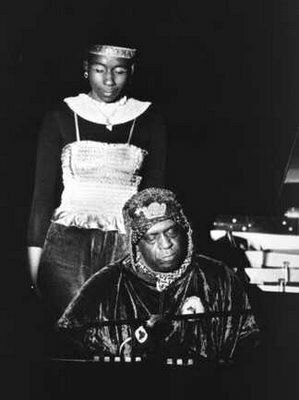 WKCR Interview with Sun Ra Arkestra vocalist, June Tyson and husband Richard Wilkinson. Discussion includes how she joined the Arkestra, practice sessions, travel and more. In addition, various rare recordings are played. The guess is this was recorded in the late 1980's. Photo courtesy of Michael Wilderman, jazzvisionsphotos.com.